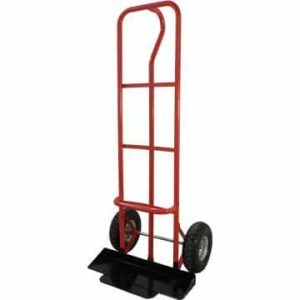 If you are looking for an easy way of moving your Ningbo tables and chairs from storage to the in situ location and back again, you will find our range of trolleys extremely useful. 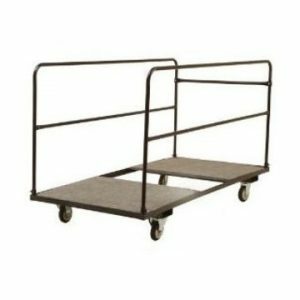 The more chairs and tables that you need to move, the more you will appreciate these really handy trolleys which will not only save journeys from becoming a constant to and fro but will also save you from excessive lifting which can be especially helpful. 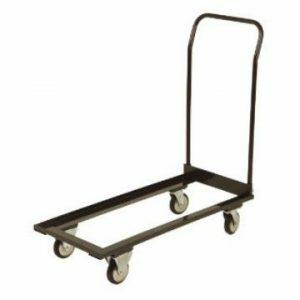 We stock a variety of different trolleys such as the banquet chair trolley (with the ability to transport from between 8-10 chairs at a time) and the folding chair trolley (which can carry as many as 40 Samson style folding chairs). As the name suggests these trolleys are specifically for chairs. 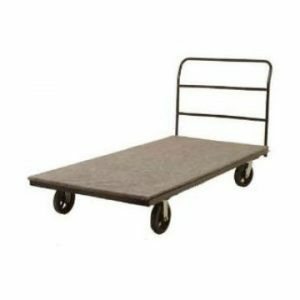 However, we also have trolleys that are specifically for tables, such as the round table trolley (which is designed to carry up to 10 round tables) and trestle table trolley (which can carry up to 14 6ft or 4 ft trestle tables). Please note that each of our trolleys is only suitable for indoor use and for on firm surfaces.